Born: 17 November 1869, Malta. Died: 26 November 1926, Selborne, Eastern Cape, South Africa. William A. Caldecott, metallurgist, was a great-grandson of the 1820 settler Charles Caldecott (c. 1780-1820). Though born in Malta, he lived in the Cape Colony from 1875 and received his schooling at the Public School in Grahamstown. He studied at the South African College in Cape Town from 1887 to 1889, receiving the Bachelor of Arts (BA) degree with honours in mathematics and natural science from the University of the Cape of Good Hope. In 1889 he moved to Johannesburg and started work at the Rietfontein Gold Mill as an unpaid learner. The next year he joined the Cassel Gold Extraction Company (of Glasgow, Scotland), which was demonstrating the newly invented McArthur-Forrest cyanidation process of gold recovery on the Witwatersrand. In 1891 he worked for the African Gold Recovery Syndicate, Barberton, to which the MacArthur-Forrest patents had been ceded, and applied this process to recover gold from tailings on a commercial scale at the Sheba Mine near the town. The plant he used was only the second commercial cyanide plant built in South Africa, the first being that used by George A. Darling* at the Robinson Gold mining Company. During the next few years Caldecott worked for some time in Pilgrim's Rest, in Zimbabwe, and for the Rand Central Ore Reduction Company, before becoming consulting metallurgist to the Consolidated Gold Fields of South Africa, Johannesburg, in 1901. He remained in this position for 20 years. Caldecott was a foundation member of the Chemical and Metallurgical Society of South Africa in 1894, served on its council from 1897 to 1921, and was its president for 1904/5. He received the society's gold medal for metallurgical research in 1921. Several of his early research papers on the cyanide process were published in its Proceedings: "Notes on cyanide work" (1894), "The discrepancy between actual and theoretical gold extraction in cyanide works" (1896), "The relative efficiency of strong and weak cyanide solutions for dissolving gold" (1896), "The solution of gold in accumulated and other slimes" (1897), "Discrepancies in slimes treatment" (1899), and "The use of vats in place of zinc boxes" (1899). His subsequent papers appeared in the society's Journal, and included "The smelting and refining of zinc gold slimes" (as co-author with E.H. Johnson, 1902), "The precipitation of gold from cyanide solutions" (with E.H. Johnson, 1903), "The silver coating of amalgamating plates" (1908/9), and "The precipitation of gold from solution by carbonaceous matter" (1908/9). In 1898 he was granted a patent for his improved method of extracting gold from cyanide solutions. His attention later turned to the physical aspects of ore treatment, for example "Computation of the crushing efficiency of tube mills" (as co-author with S.H. Pearce, 1906/7), "The development of heavy gravitation stamps" (1909), "Launder grades for sand pulp" (1913/14) and several more. He also made important practical contributions to the treatment of gold ores. In 1907 he was granted a patent for his improvements in the process of treating crushed ore. The Caldecott cone classifier for separating sands from slimes was patented in 1912, while the Caldecott filter table was a horizontal vacuum filter for dewatering sands. Caldecott joined the South African Association for the Advancement of Science in 1903 and served on its council during 1904-1905. At its first annual congress in Cape Town in 1903 he read a review paper on "The development of gold extraction methods on the Witwatersrand", which was published in the association's first Report (pp. 240-249). In 1909 he was awarded the degree Doctor of Science (DSc) by the University of the Cape of Good Hope for a thesis on "Chemistry of banket ore treatment". In 1912 he contributed a paper on the same topic to A textbook of Rand metallurgical practice (Vol. 1, pp. 380-398), compiled by R.S.G. Stokes*. Caldecott was a Fellow of the (British) Chemical Society, an associate of the American Institute of Mining Engineers, and an associate (from 1899) and later a member (from 1906) of the (British) Institution of Mining and Metallurgy. He contributed several papers to the Transactions of the latter institution, and was awarded its Consolidated Gold Fields of South Africa gold medal for his contributions to metallurgy. He was a member of the Geological Society of South Africa for a brief period around 1897, became a member of the South African Philosophical Society in 1906, and was one of the early Fellows of its successor, the Royal Society of South Africa. He served on the council of the latter during 1917-1918 and again in 1924. In 1917-1918 he served on the Scientific and Technical Committee on Industrial Research, and from 1923 until shortly before his death was a director in the Department of Mines and Industries of the Union of South Africa. 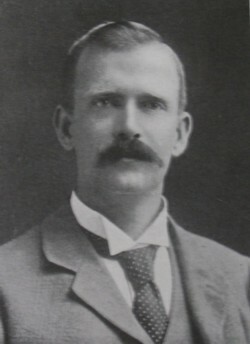 He was an early member also of the South African Geographical Society, and in 1917 became a foundation member of the South African Biological Society. Bozzoli, G.R. Forging ahead. South Africa's pioneering engineers. Johannesburg: Witwatersrand University Press, 1997. Chemical, Metallurgical and Mining Society of South Africa. Proceedings, 1903, Vol. 3; Journal, 1899-1910, Vol. 1-10; 1913/14, Vol. 14. Geological Society of South Africa. Transactions, 1897, Vol. 2, list of members. Goode, R.C.J. Presidential address: The Institute in retrospect and prospect. Journal of the South African Institute of Mining and Metallurgy, 1968, Vol. 69, pp. 25-42. Men of the times: Pioneers of the Transvaal and glimpses of South Africa. Johannesburg: Transvaal Publishing Company, 1905. National Automated Archival Information Retrieval System (NAAIRS). http://www.national.archives.gov.za/naairs.htm Documents relating to William Arthur Caldecott / W.A. Caldecott. Orr, J. Presidential address. Annual Proceedings of the Associated Scientific and Technical Societies of South Africa, 1938, pp. 15-86. (See pp. 53-54). Royal Society of South Africa. Transactions, 1908-1910, Vol. 1 and 1917-1918, Vol. 6: Lists of Fellows and members; 1925, Vol. 12: Minutes of Proceedings. South African Association for the Advancement of Science. Report, 1903, 1904, 1915, 1918. South African Geographical Journal, 1917, Vol. 1(1), list of members. South African Journal of Natural History, 1918, Vol. 1(1), pp. 8-15: List of Foundation Members [of the SA Biological Society]. South African Who's Who, 1908, 1909, 1917/8. University of the Cape of Good Hope. Calendar, 1910/11.